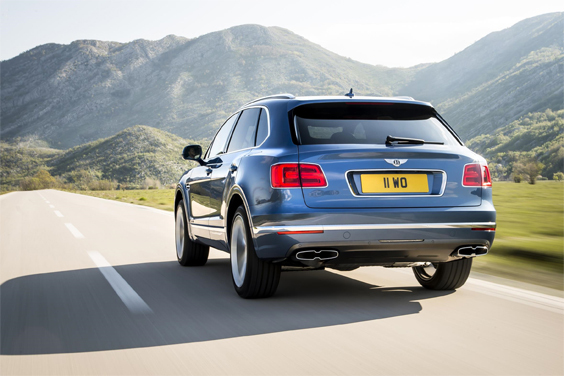 Bentley Bentayga Diesel – Car Review by Liam Bird. Diesel has been somewhat of a dirty word of late. Higher taxes and concerns over whether or not vehicles that use it cause more air pollution than their petrol equivalent, or maybe even the power stations that burn fuel that ultimately charge electric cars… Let’s leave that for another time; too controversial an argument perhaps. Anyway, as I was saying, diesel has fallen from favour. But, does it still have a place? If you’re someone who does high mileage, or someone who just likes something that does high mpg and thus requires fewer full stops, then surely that answer is still a resounding yes. My case in point: Bentley’s Bentayga Diesel. Now I know the Bentayga is somewhat controversial too. For starters it’s not what most people consider a good looking car – some of the comments I’ve heard during my time with it have been most disparaging – nevertheless, I don’t think it’s as unpalatable as “they” say. I also think the Bentayga is better looking than a certain, recently released, and similarly sized similarly built-to-go-off-road-but probably-never-will Range-Rover too, but to each their own as “they” say. Rolls-Royce’s Cullinan is hardly a looker either! Regardless of what your opinion is of the outside of Bentley’s go-anywhere offering, what you simply can’t argue about is just how beautifully crafted its interior is. The quality is unquestionable. The materials used are quite honestly, from a different league. The leather is soft, smooth, thick and handstitched, your feet sink into lambswool carpets so deep you could contemplate shearing them (and still have deep carpets) and burr walnut – or whatever bookmarked veneers that take your fancy for that matter – covers the dashboard and door-cappings. It’s like the automotive equivalent of an exclusive gentlemen’s club. No one does cabins like Bentley. And oh boy is it quiet. 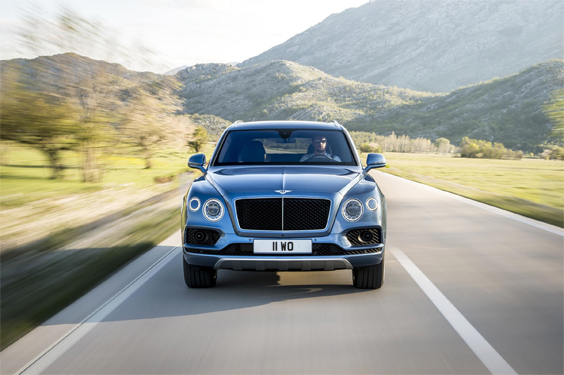 There may be eight cylinders, two turbos, and a supercharger upfront, not to mention an 8-speed gearbox, a four-wheel-drive system, an air-suspension and 48 volt self-levelling system, and the not inconsiderable fact that the Bentayga weighs-in at nearly three-tonnes to contend with – and let’s not forget this one’s diesel powered too – but were it not for a little extra chatter on start-up, you simply wouldn’t know. With a whopping 664lbft of torque available from barely above tick-over the Bentayga diesel drives like a GT car, albeit one with a slightly higher centre of gravity. You sit in an air-cooled (or heated, it’s your choice) throne, the master of all you survey. Whatever the road conditions, whatever your demands, the Bentayga just gets on with it, effortlessly. Just how Bentley’s engineers (or was it Audi engineers all along? – the Bentayga and the Q7 share the same underpinnings after all), have managed to control such leviathan loads is surely the work of wizardry. No other vehicle weighing this much accelerates or corners with such finesse. However… there is another leviathan to contend with: the price. Bentley will relieve you of £139,100 if you’d like an oil-burning Bentayga. And that’s before options; there were nearly £62,000’s worth (yes you did read that correctly) on “our” car. So, now you’re saying something along the lines of “Well if you can afford all that in the first place, surely the price of a fill-up is immaterial.” And to a certain extent you’d be right. Possibly. You see, the Bentayga diesel’s USP has nothing to do with saving money: it’s all about range. A petrol Bentayga, does somewhere in the region of 18mpg during day-to-day driving, whereas the diesel does somewhere in the region of 31. That’s a lot fewer fill-ups, a lot less standing on a wet and windy forecourt. 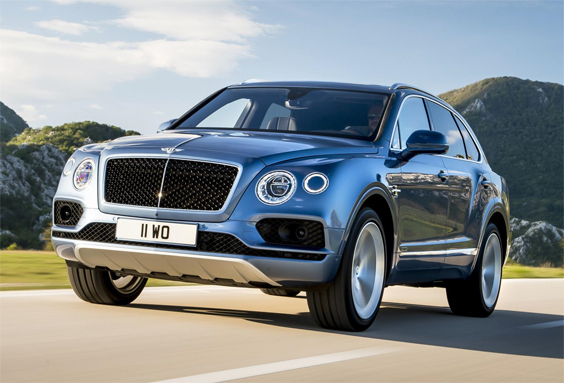 Diesel may no-longer be anyone’s favourite fuel and the Bentley Bentayga will by its very definition always be a rare, and in certain eyes, ugly, car. But, should you happen to see one, and should you simultaneously find yourself thinking “Who on Earth would ever buy a thing like that?” Well, without question – and if only I had the money – there’s me for a start. Induction: 2 x sequential turbo-chargers, 1 x electric compressor (supercharger).